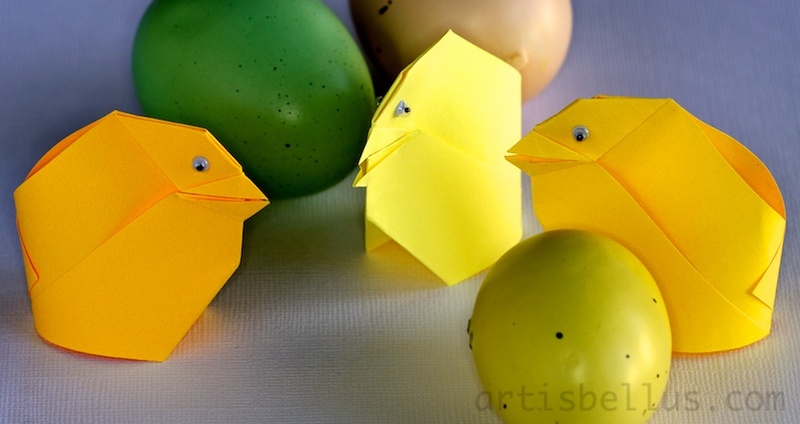 These cute and funny chicks, designed by Paul Jackson, will make a nice decoration for Easter. 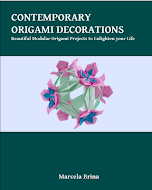 The diagrams can be found in the book, Festive Folding , by Paul Jackson. I folded them with 3 ½" (88 mm) squares of copy paper. 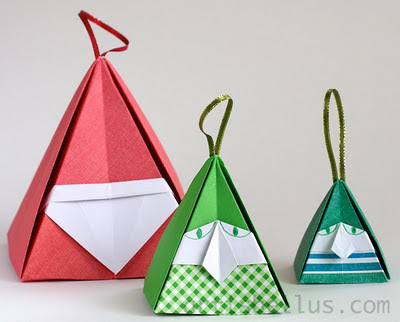 They are very simple to fold. I decorated the chicks with googly eyes, and used a little glue to keep the back of the models closed.